The F-16 was the first aircraft to use the "fly by wire" system, which does not translate the pilot's control- movements by cables and pulleys, but by electronic impulses. 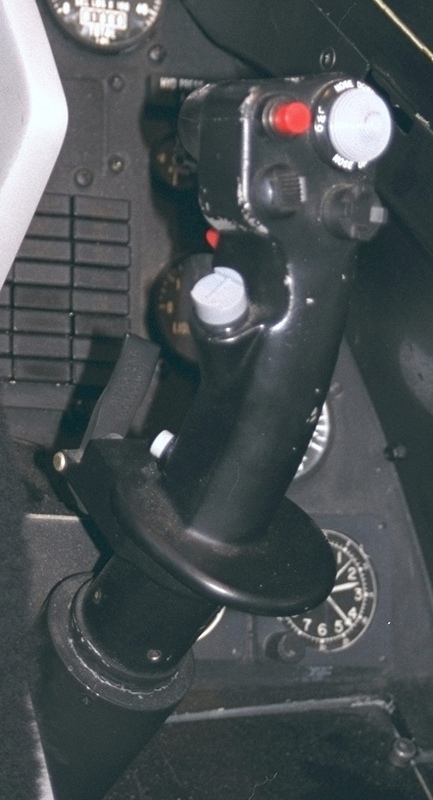 Between the flight stick and the control areas is the FLCS (flight control system) which translates the applied pressure to the stick and sends the corresponding electric impulses to electric motors, that move the control areas. 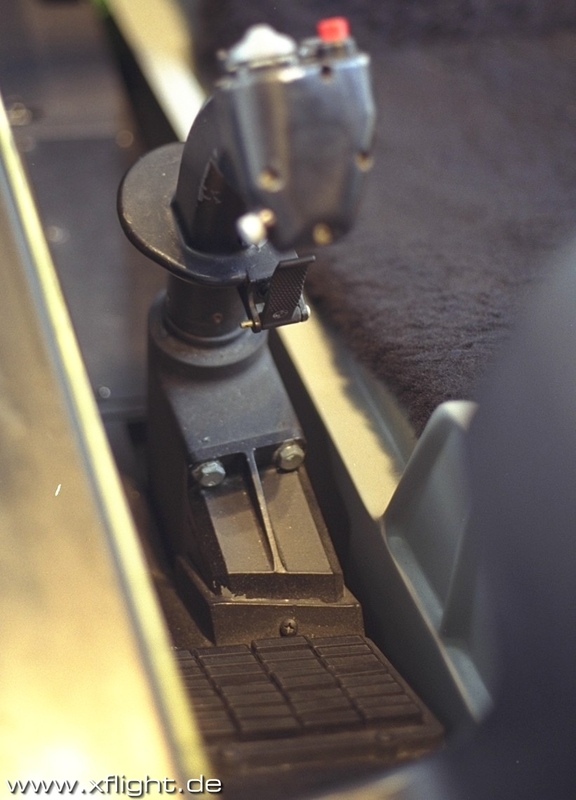 The FLCS also controls the amount of movement to be sent to the controls, in order to avoid to hard actions or wrong movements. Of the pilot, which might get the airplane into a critical position. 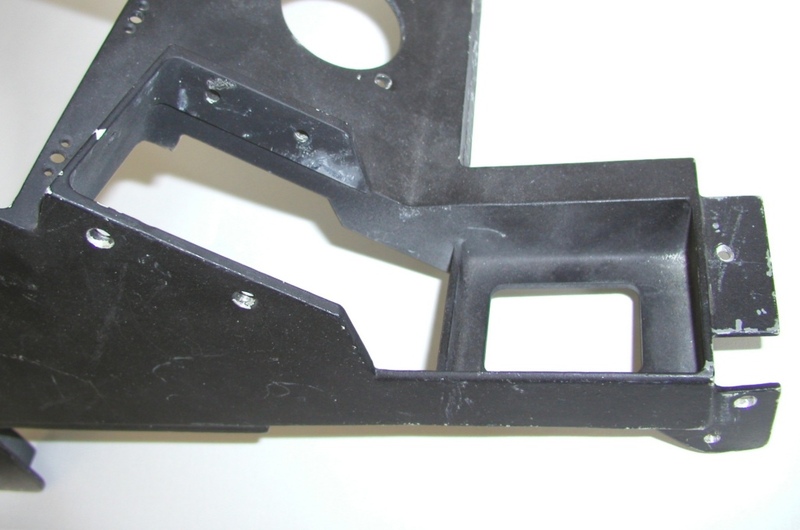 Using the manual pitch override panel of these corrections of the FLCS can be overrided by the pilot. The F-16 was also the first aircraft that had the flightstick at the right side instead between the pilot's legs. This allows easier controlling during high Gs and also keeps more free space to host important displays in front of the pilot. 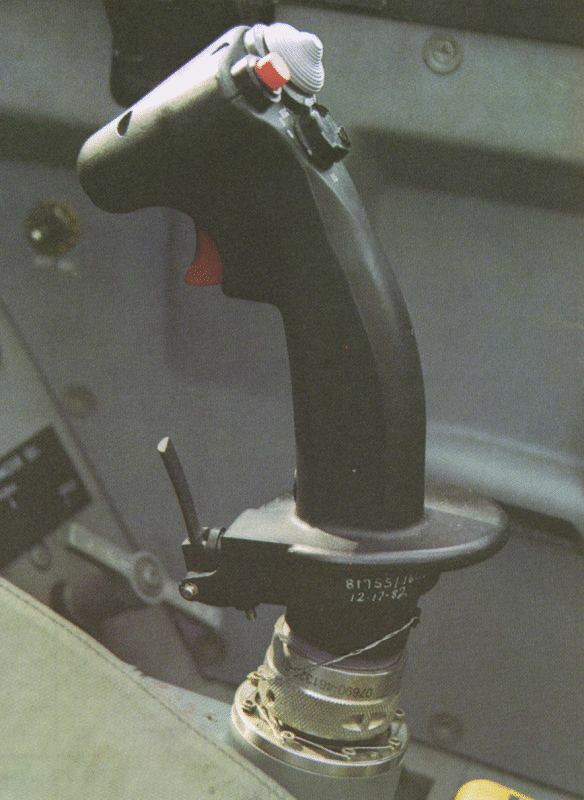 The first F-16 models had the SSC (side stick controller) with no free movement at all, which made the pilot feel like trying to move a telegraph pole. Later some free movement was given to the SSC to avoid this feeling. Anyhow, if you think that now it is like moving a joystick with reduced movement, you are wrong! I had the chance to sit in an Air Forces F-16 simulator and thought that the stick was just cemented in. It really takes some force to move the stick. A F-16 pilot told me that the whole movement of the stick is just about 2 to 3 mm in each direction. A big problem is that due to the poor feed-back of the SSC, the pilot can easily oversteer the plane, taking himself and (if there) the instructor to the maximum Gs. I made this experience myself. I just had my first flight in an aerobatic SP-91L and my instructor told me to fly a loop. In other airplanes I felt the force feed-back growing slowly when starting a loop, but this time I did not feel anything at all. Then things happened very fast. My instructor started to puff, I started to puff also and the G-meter showed 8G! So far facts of the real flying ;-)). 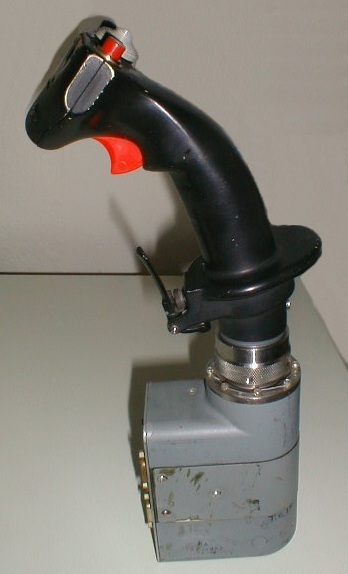 Together with the TQS (=Throttle quadrant system) the HOTAS system (Hands on Throttle and Stick) is conformed. 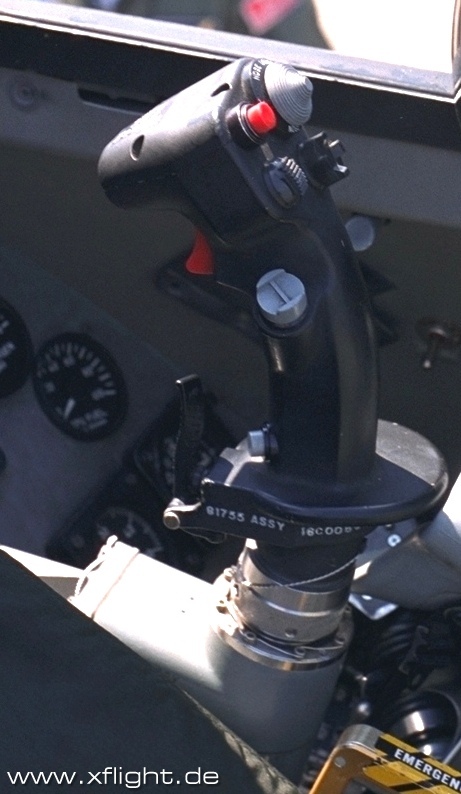 This system allows the pilot to handle his plane during critical fight conditions, without taking the hands away from throttle and flight stick. A-G TOGGLE depress NWS: On ground, activate or deactivate NWS. A/R DISC: Disconnects refuel boom latching. MSL STEP: In Air-to-Air modes, depressing MSL STEP (Missile Step) button selects the next available missile of the currently selected type. 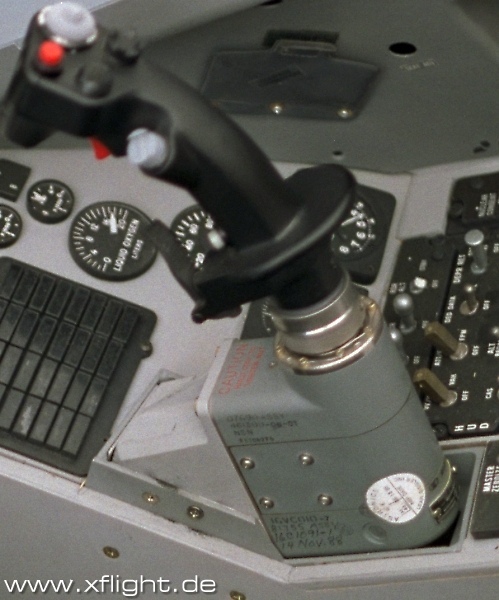 In EO modes, depressing MSL STEP button deselects the current EO missile and selects the prior-ity missile on the next station in aircraft priority. A-G TOGGLE: In Air-to-Ground bombing modes, depressing A-G TOGGLE deselects the current bombing mode and selects the next mode in rotary: CCRP, CCIP, and DTOS. A/G: The A/G TOGGLE mode does nothing when AGM-65's or AGM-119's are selected. A/A: When held for more than 0.5 seconds in A/A mode, toggles between short-range and medium-range missiles. Weapon Release Depress Signals consent to FCC or SMS to initiate weapon release and operates HUD Camera for 30 seconds when in AUTO. The WPN REL button provides consent for weapon release (bombs, rockets, and missiles). 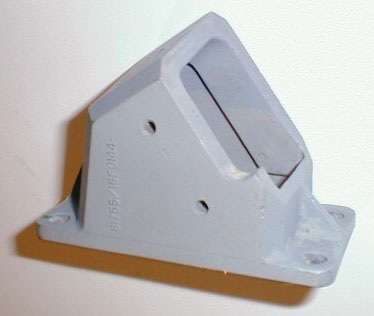 This button can also be used for target designation in the DTOS and EO visual modes. The backup weapon release button you can find on the MISC panel named "ALT REL". 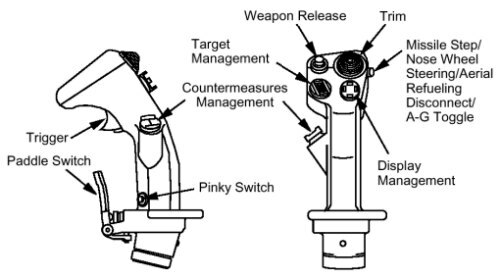 Management Fwd The DMS is a four-position, spring-loaded to center switch used to control SOI selection, format stepping, and the TWS AUTO/MAN rotary. If CCIP, CCIP rockets, STRF, DTOS, or EO-VIS is selected, the forward position moves SOI to the HUD. When LADD, EO PRE, or CCRP submode is selected along with IR or RP, the SOI designation will move to the HUD when the DMS is moved forward. When TWS is selected, TWS AUTO or MAN submode will be selected. Aft If the aft position is selected, the SOI moves to the MFD of the highest priority. Subsequent aft depression moves the SOI to the opposite MFD. Left The left positions sequence MFD format to the next left format, respectively, skipping over any BLANK format. The order of format selection is from inside out. Right The right positions sequence MFD format to the next right format, respectively, skipping over any BLANK format. The order of format selection is from inside out. Expand/FOV Depress Successive depressions sequence through the available field-of-view (FOV) selections for the sensor/system mode being displayed on the DOI. For more details see Expand/FOV Switch. Trigger 1. detent Starts operation of AVTR/CVTS with AUTO selected on AVTR power control switch and activates laser ranging if targeting pod is loaded. 2. detent Fires gun (if selected and armed), AVTR/CVTS operation continues, and consent for laser fire continues (camera operation continues for 30 seconds after trigger is released). To zoom please select the picture with your mouse.